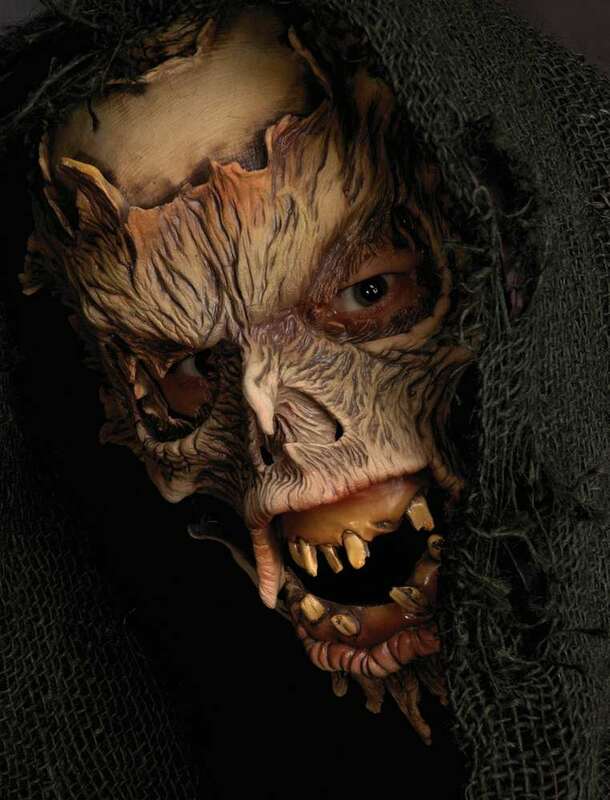 Amazing Decayed mask features a movable jaw so when you open your mouth, the mouth on the mask will open too. Lightweight and comfortable to wear, this mask features a black fabric sock mask inside so it pulls on snugly, holding the mask close to your face. Latex is only over your face, while the rest of your head is covered by the burlap hood. Cooler to wear than a full latex mask. Very high quality mask.